Now this is smart and crafty! 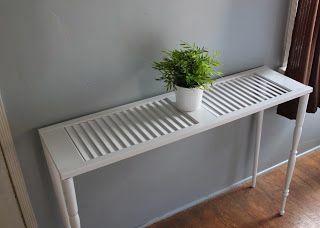 By using the slats in the shutter, you can stand up your plates. 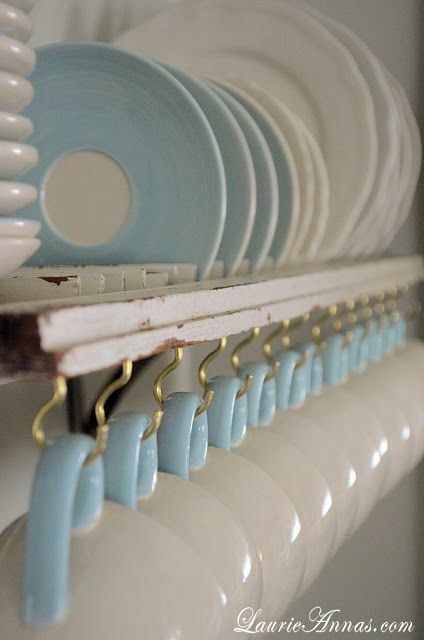 Then, by adding some hooks you can attach mugs. This is an awesome craft for a pantry, coffee bar or even a small apartment that’s short on space. Here the folks at Country Living created an entire statement wall. But, if this is a bit too much for your space, simply downsize it. Put a few together instead of a dozen and create a piece of wall art. We love the idea of painting them different colors and attaching them like a piece of patchwork. Turn a big long shutter board into a beautiful bench for your home. This will look great as a dining table bench, or even a dressing bench for the end of your bed. 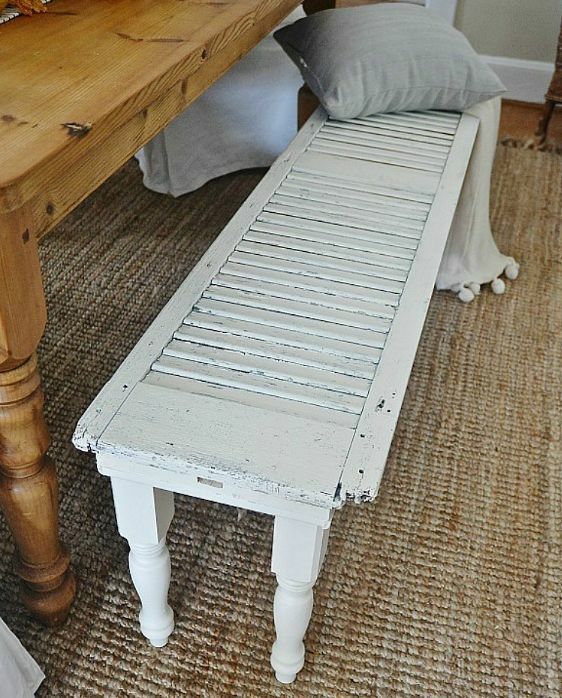 Get creative with color and the wooden legs you choose to create your personalized country and shabby chic look. These long and skinny shutters will make the perfect side table for your entryway, hallway or living room. Actually, it’ll look good just about anywhere. Plus, it’s easy to put together. 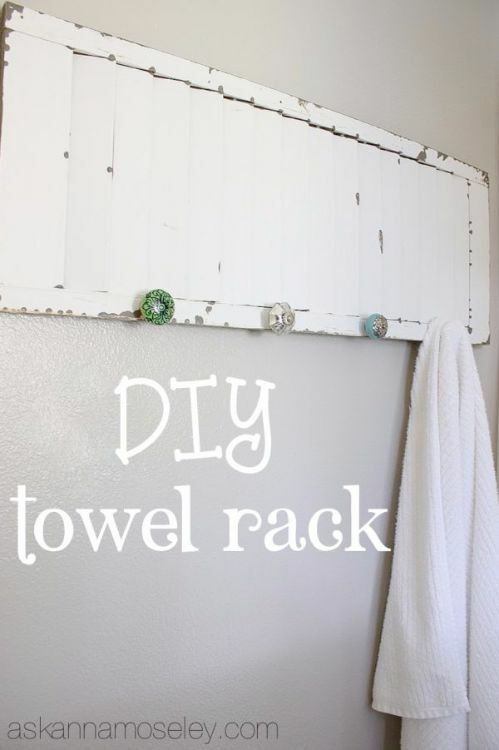 We adore this diy! 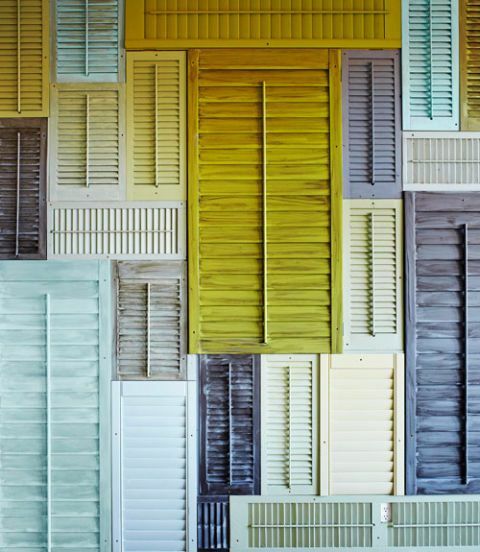 Simply paint your shutter whatever color you want — or keep its natural rustic finish — and add some beautiful new knobs. The glass ones here are adorable, but you can go for whatever finish will match your home. This project not only looks great but is totally functional, too. Is this inventive, or what? What’s great about this night stand is that it doesn’t take up a whole lot of room physically or visually. But, it sure does look great. 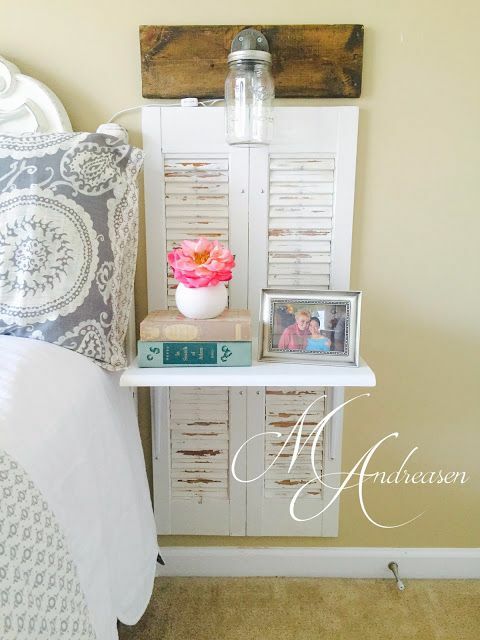 Simply screw your shutters into the wall and add a shelf at the height of your bed to achieve this look. Don’t forget to share this diy article with your friends on Facebook.